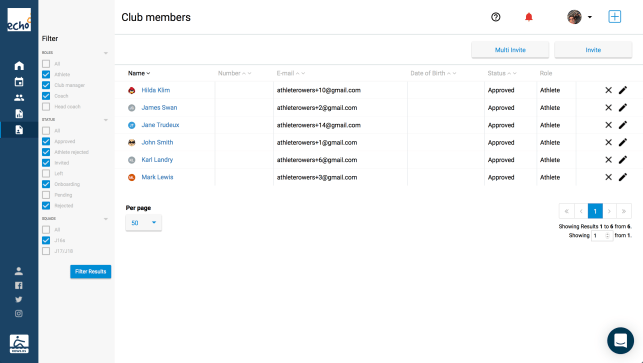 When you are setting up your club up you can invite multiple athletes and coaches at the same time. This will help you get your club started quickly. 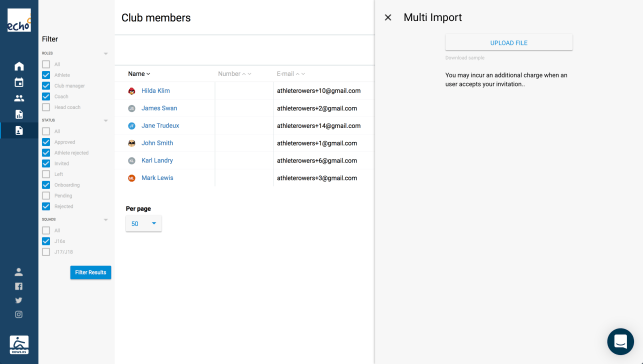 On the club members page press the multi invite button, this will open a slider that will allow you upload a CSV spreadsheet with your athletes and coaches. You can download a sample file here or on the page.